PALEO JAY SMOOTHIE CAFE: No, You are NOT Immune to Gluten! Podcast for Paleo Quick tip of the Day. 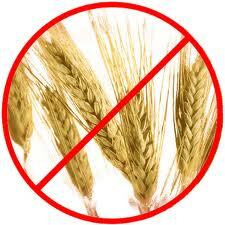 No, You are NOT Immune to Gluten! Podcast for Paleo Quick tip of the Day. Not true. If you have never been off of gluten, and I mean you’ve never really followed through and eliminated bread products, even in relatively small amounts, from your diet for at least a month or two, you have no idea how much better you can “look, feel, and perform”, to quote Robb Wolf. You may think that because you are not overweight, reasonably well muscled and fit, why then why not continue eating your sandwiches, and pancakes, and occasional slice of pie or cake? Well, do you have any of these symptoms that may seem minor (at first! ), that are almost certainly due to your gluten habit? Any or any combination of these maladies are always improved and/or eliminated just be ditching the grains! Many folks can tolerate small amounts of corn products without problems, but by no means all. But wheat, rye, and barley? You need to eliminate them entirely! No exceptions! If you don’t, all of these can mature into autoimmune diseases, and they don’t stop with just one either. And if you already have an autoimmune disease, you really need to stop with the gluten now. Because, sadly, the gluten will continue to compromise your gut, “punching holes” in your intestine, and accelerating the invasion of your body and even your mind by way of your opened up circulatory system. Let’s say you have an autoimmune disease already. 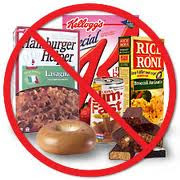 Continue with your current gluten consuming indulgences, and you can expect to add more, over time. The rule of thumb if you have an autoimmune disease, meaning one of the diseases that have no cure except to mask the symptoms somewhat with powerful drugs loaded with side-effects- is that every decade you will add another disease to the list! And, if you add in pain-masking over the counter drugs like Ibuprofen, Tylenol, and even aspirin, you will have accelerated the invasion of your body by these diseases and uncomfortable maladies hugely, since they also “punch holes in your gut lining” in a huge, damaging way! We all get sloppy with our health over time, and this is just a reminder- no one is immune. Gluten is a poison, whether you believe it or not, and it will gradually, if not kill you, make your life more and more uncomfortable, painful, and far less pleasant.